If we could give Carolyn 100 stars we would. As many know, once you decide to buy and/or sell a home, you quickly start to spend a lot of time with your realtor. After several false starts with a handful of realtors in San Francisco and the East Bay, we were put in touch with Carolyn. We were in the process of looking for a house to purchase and were overwhelmed by the process as well as by Bay Area real estate in general. Enter Carolyn, who was the mentor, coach, confidante, partner, and friend we needed. She is whip smart and was able to work with my quantitative, detail-driven husband with patience and thoughtfulness. She knew when to push us along and when to step back. We never felt pressured or uncomfortable. She was unflappable in navigating a somewhat stressful and ongoing negotiation process so that we ultimately were able to purchase the home of our dreams. She went above and beyond the call of duty 100 times. She’s proactive, uber-responsive, detail-oriented, thoughtful, and a master at managing a myriad of personalities. She made us feel like we were her only client when I’m sure she had many more just as needy as we were. We cannot say enough amazing things about her. In sum, you know you’ve found a good realtor when you are literally sad the home-buying process is over because you will miss your time together! She’s that good. She made a scary and daunting process not only tenable, but enjoyable. 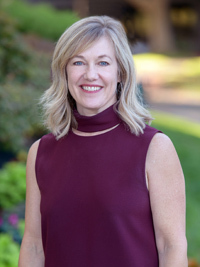 Note: While Carolyn is based in Danville/Alamo, she was an expert as we looked at homes all over the East Bay (including Alameda, Oakland, Piedmont, Orinda, and Lafayette). We ultimately ended up buying in Orinda.